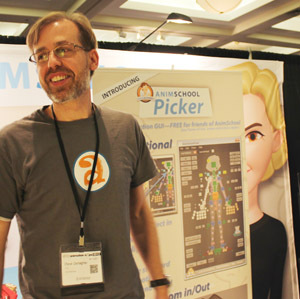 Orem, UT United States - April 18, 2013 -- Animschool announces today the release of the new AnimSchool Picker. This is a new plug-in that incorporates all the capabilities from film studio "picker" GUIs for selecting and controlling 3D characters. The features are unparalleled, and it's free to the public for most uses. (Some restrictions apply). The AnimSchool Picker has been released for Maya versions 2011+ PC and 2012+ Mac. Softimage version likely to follow. 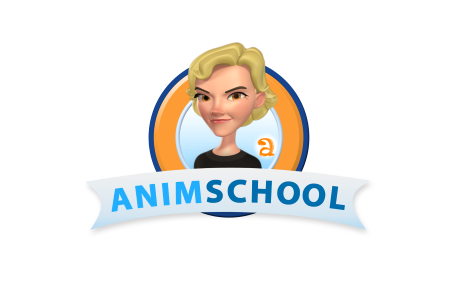 Learn more about AnimSchool Picker at www.animschool.com. Great! You guys are awesome! Thanks! Its simply soooopreB... I Love it... but only one small tiny thing, which is when i press "F" in the viewport its effecting in the Picker only but not in the view port... Can any one please update that??? ANIMATOR, the focus must have been in the picker window. Just middle click over on the Maya windows and it will work again. Very awesome Picker!! I would like to see a "Docking" option be integrated for Maya 2011+. Under the Channel Box or the Left side, it would be very cool option to have. Cool! I couldn't use though, change namespace function not working on 2013, anyone with the same glitch? Yes, I created the GUI on the base file. Now when I reference it, I can't add the namespace, so the buttons don't work. I see. Yes, I think I covered that in the Intro Video. Yes, you should author the Picker in the referenced file. We definitely will fix that -- it's on our shortlist. Fernando, we haven't heard of that problem. Any more information you can give? I created the GUI on the base file of my rig (non-referenced). Now when I reference the rig on a shot the buttons don't work because of the namespace. So I tried to use the "Change Namespace" function, it shows me a gray box, and I can't type anything in it. Right. See my message above. You have to author with a namespace so it can do the search and replace. Including in all the scripts. We'll be fixing that soon. Fernando; 32 or 64 bit? The Malcolm rig and picker look amazing! I downloaded them and installed the picker by following AnimSchool's instructions. However now that everything is set up, the picker doesn't work for the body, (though it does work for the face.) I'm using Maya 2012 on Windows 64 bit and the error message I'm getting when I select a button in the body picker is //Error: line 1: No object matches name: malcom_v110:controls. Any idea how to fix this? Help is much appreciated. Open picker go to picker Menu then choose "change namespace " , select the text shown in the dialogue box ( malcolm_v109 ) and press delete, press OK to save. If you're using multiple picker tabs, correct the name space for each tab. It sounds like you just need to change namespace on the face tab. AnimSchool , please make a tutorial for installing picker in softimage. There is no AnimSchool Picker for Softimage. We use the built-in Synoptic. Just import the Malcolm model and hit F3 or whatever launches your Synoptics. Can I get a download link please? I'm not able to download. any help would be appreciated. Thanks. This is great. But the picker is har to install in MAYA 2016 mac. please share instructions. hello! I have been using anim school picker for more then a year. Today i tried to download latest version but it's not working(maya 2016). "// Error: line 2: Cannot find procedure "AnimSchoolPicker"." <<this problem. http://www.animschoolforums.com/viewtopic.php?f=7&t=14137 <<other people have same issue. help would be appreciated. thank you. There was a compile problem with that version. Stand by for a fix very soon. did this problem get solved?